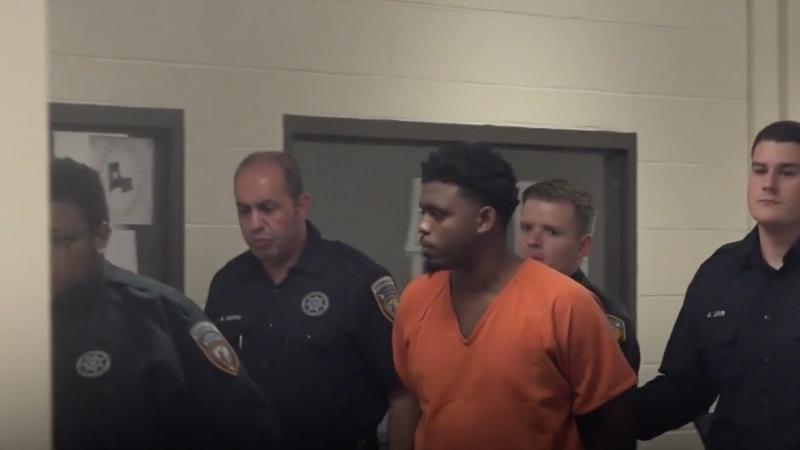 Court proceedings have begun for Eric Black Jr., one of the men implicated in the shooting death of 7-year-old Jazmine Barnes. On Monday, Black was charged with capital murder and will be held without bail after reportedly confessing involvement in the crime, which Harris County Sheriff Ed Gonzalez has called a case of “mistaken identity,” per CNN. Police believe that the shooters misidentified the car Barnes was in before they opened fire. Black is accused of driving the car from which a second suspect, Larry Woodruffe, allegedly shot and killed Jazmine Barnes and injured her family members, who were leaving a Walmart parking lot in a car driven by matriarch LaPorsha Washington. Washington was shot in the arm. Jazmine’s 6-year-old sister was injured by broken glass. “Jail records indicate that Woodruffe is currently in custody on drug possession charges. He has not been charged in connection with the shooting,” writes CNN. Following initial reports that the culprit was a white man in his 40s, details about the new suspects are murky beyond that they were apprehended via a tip given to writer and activist Shaun King. It has been speculated the initial witness description was of an innocent bystander also fleeing for safety. We sincerely hope the truth of this tragedy comes to light as proceedings continue.